And he said unto them, “How is it that ye sought me? Knew ye not that I must needs be in my Father’s house?” And they understood not the word which he spoke to them. 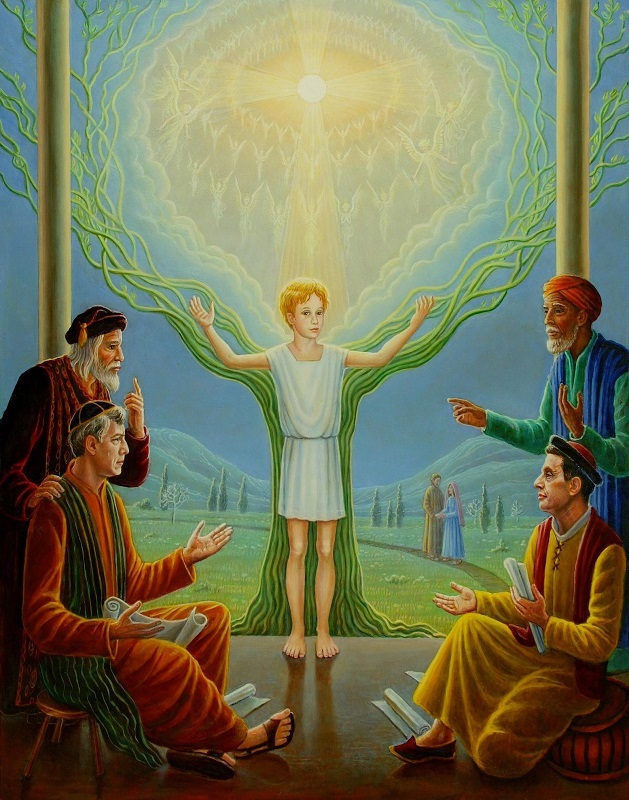 The painting shows a symbolic encounter between Jesus and the teachers in the temple. He is trying to reveal a higher universe to them, and they are not yet ready to receive it. In the distance his parents are seeking him.